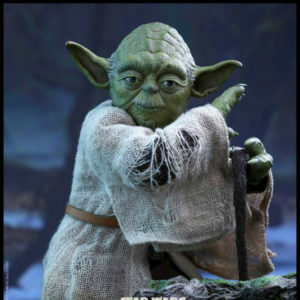 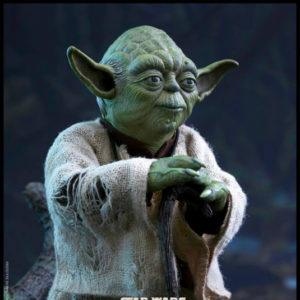 Jedi Master Yoda was the most wise and powerful of all Jedi. 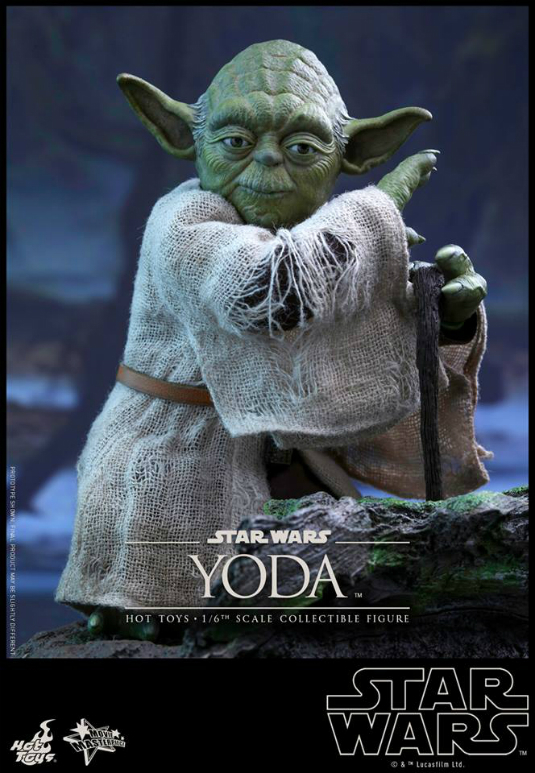 For over 800 years, Yoda instructed young Jedi and instilled in them a profound sense of discipline, strength, and unity. During the dark times when Galactic Empire ruled the galaxy, Luke Skywalker went to Dagobah in search of Yoda for training to become a Jedi which led to path that will restore balance to the galaxy!Today, Hot Toys is excited to officially present the 1/6th scale Collectable Figure of Luke’s wise mentor Yoda from Star Wars: Episode V The Empire Strikes Back! 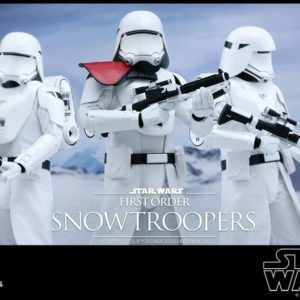 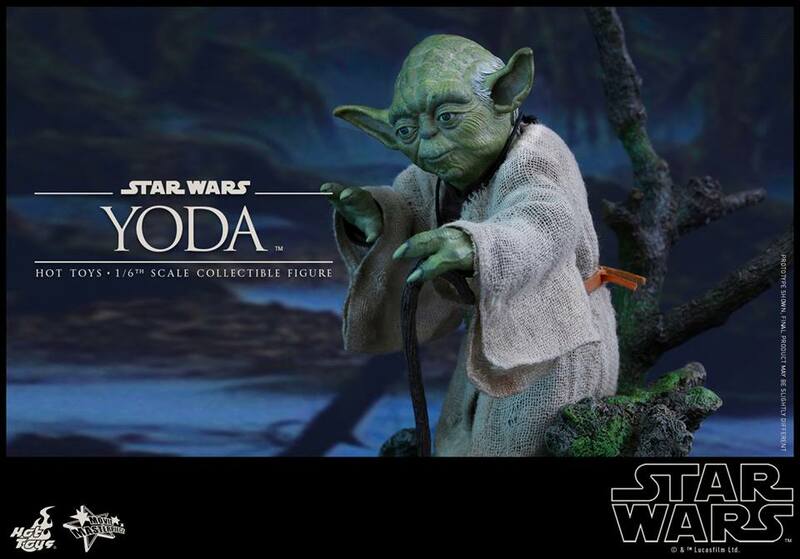 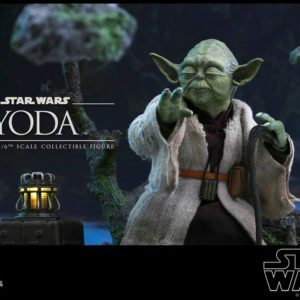 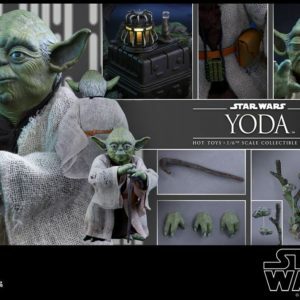 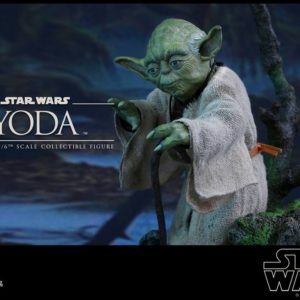 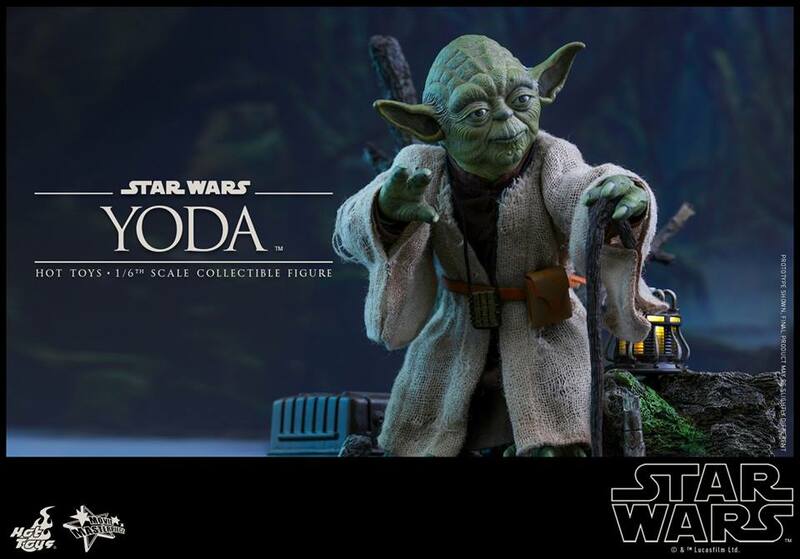 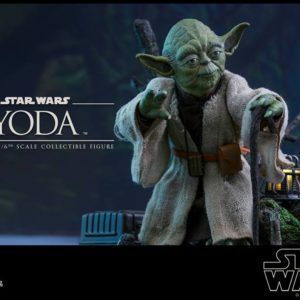 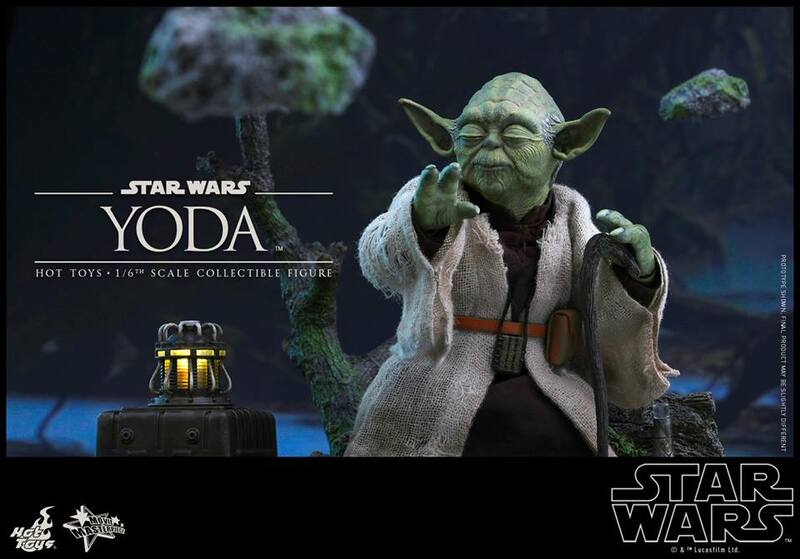 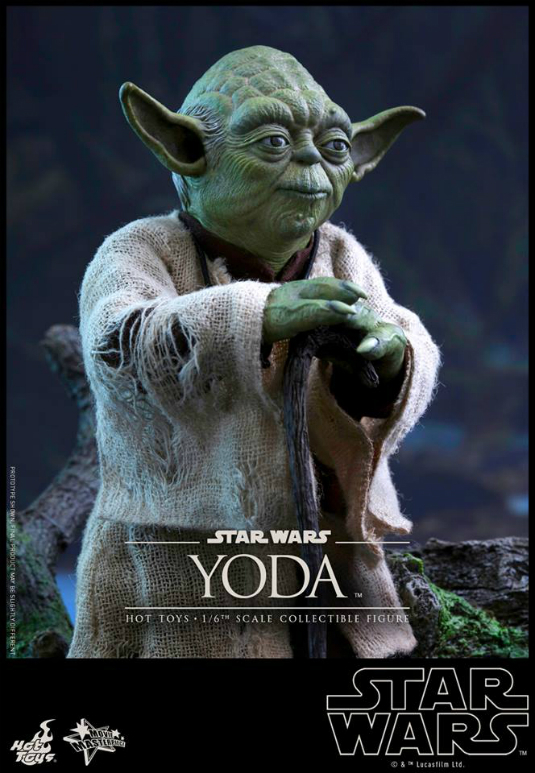 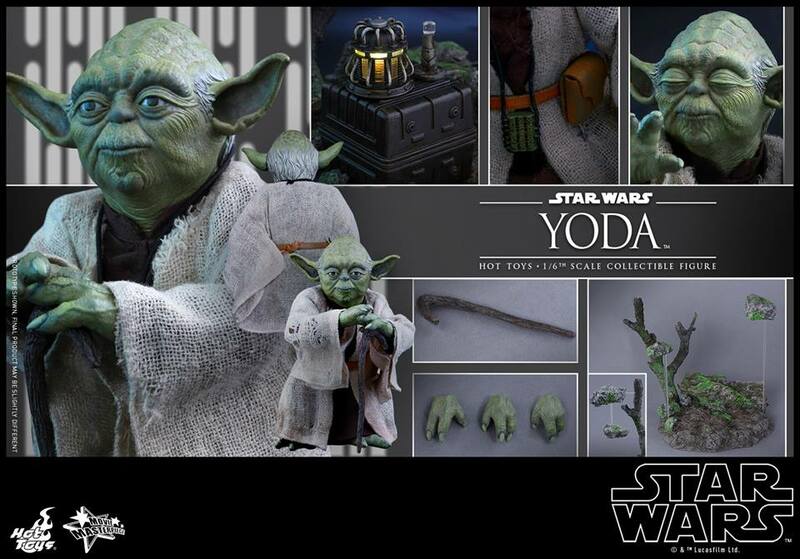 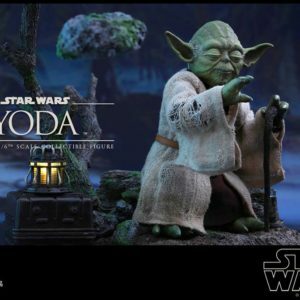 The highly-accurate collectable figure is specially crafted based on the image of Yoda in Star Wars: Episode V The Empire Strikes Back. 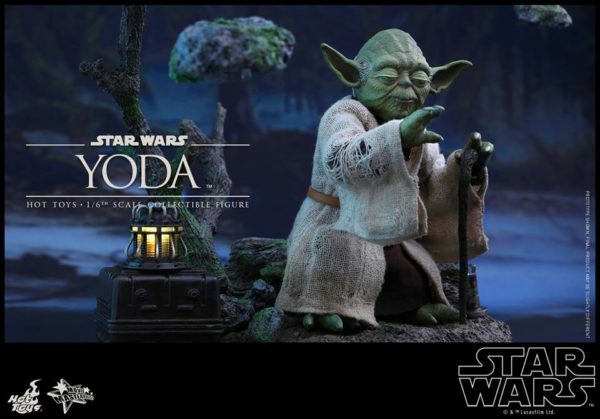 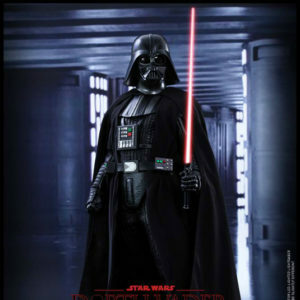 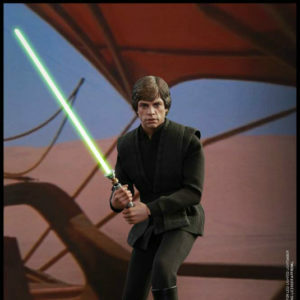 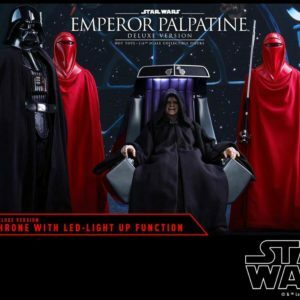 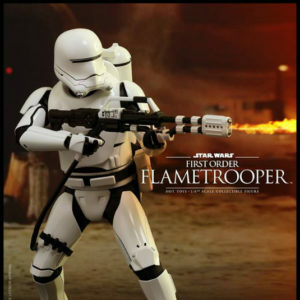 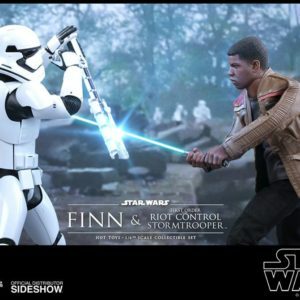 It features two newly developed head sculpts, specially developed body, finely tailored costume, a range of detailed accessories including a cane, crate container, small lamp, LED-light up power unit, and Dagobah diorama figure base with rocks.